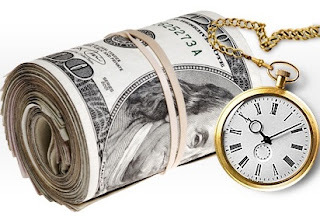 5 Secrets To Getting Approved for Cash Loans! Learn the common mistakes people make when applying for short term cash loans – and increase your chances of getting approved right out of the gate. 1. Be sure your current income is high enough to qualify. 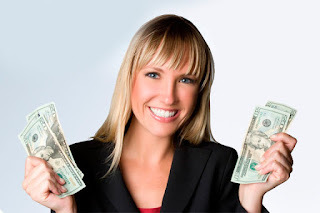 The minimum income for short term cash loans is $1000 per month. If your main job doesn’t bring in that much, be sure to include any other income you might have – perhaps a second job or a spouse’s income. Meeting the minimum required income is one of the first things that will be considered and too little income is an automatic disqualification, so be sure to include all your income! 2. Don’t apply for more than you can afford. It’s important to keep in mind that the standard arrangement for a short term cash loan is for it to be repaid out of the next paycheck. If you take home $1000 each paycheck and borrow $1000 (even discounting fees and interest) – you’ll have zero to live on. If you use the loan to pay for all the bills your next paycheck would have gone toward and don’t need any more than that, that’s great – but for most of us that’s not usually going to be the case. So keep your personal budget in mind when you consider how much money you can or should borrow. There is the option to extend the payment terms for an additional fee, so you can of course take that into account as well. 3. Complete all sections of the application completely. Leaving information off of your application can damage your chances of approval irreparably. In order to make the application short and speedy, it’s been pared down to the bare minimum, so any information omitted is likely to be an item that’s required in order for the lender to give you the “yes” on that cash loan. The various sections request your personal identification info like your address, driver’s license number, employer and income, payday dates – because that’s when payment are drafted from your bank account – and bank routing and account numbers. Leaving any of those out can cause your application to be rejected and put you back to square one. 4. Fill out all information accurately – especially numbers! This item is related to the previous one. Inaccurate information is effectively equal to missing data – if your pay date or bank account number is not accurate, the lender will not be able to process your funding or repayment, which prevents them from approving a loan. Some of the most common errors on loan applications of all kinds are leaving digits off of long numbers or unfamiliar numbers you don’t use often, and transposing numbers – switching their order. It’s a great idea to double check before you hit submit! 5. Make sure all IDs and bank account numbers are valid. Expired or inactive bank account or drivers license, for example, will disqualify your application even if your income, employment, and other factors all point to approval. Don't let that happen for your cash loan! Most of us are brought up with certain beliefs about what it means to be an “grown-up”, a mature, responsible adult person. Those beliefs vary depending on the kind of life our parents led, but often include financial obligations like owning a car and a home, saving for emergencies and retirement, and paying our bills and other commitments on time. When we’re kids we just assume we’ll have a life like the one our parents had; for generations American parents all assumed their children would do better than they themselves had – and for the first time that isn’t true. Due to the economic climate of the past decade, the new generations of adults aren’t always succeeding in exceeding their parents’ standard of living, and some are going through quite a struggle. One tool that’s available to them, which many don’t think of because it wasn’t used in their homes growing up, is the fast cash loan. This is a short term payday loan that allows you to borrow against your next paycheck, and repay it when that check comes in. This helps avoid late fees and negative marks on your credit when the due dates of your bills don’t line up with your paydays as well as you’d like them to. Here’s how the process works: The loan application is online, so it’s available day and night – whenever is most convenient for you, no matter what the hour. The web-based process also means that you can apply from anywhere; there’s no need to arrange to go to a bank or office location during business hours when you need to be at work. Just imagine – you can apply for a fast cash loan over your morning coffee at the kitchen table, or after work from the back porch while your dog romps in the yard. As long as you’ve got an internet connection, you’re ready! The application isn’t just convenient - it’s quick too. The form itself is brief and will take only a few minutes, with no complicated questions about the cost of your monthly expenses, the names and addresses of all your creditors, or information from prior-year tax returns. You’ll fill out the form, submit it, wait about two minutes, and receive your approval right there in your browser. Lenders are standing by 24/7 so there’s never any delay while an application sits on someone’s desk or in their computer waiting to be processed. Fast Cash approvals come with all the information and forms required to finalize the deal right then and there – you can even sign electronically, so there’s no need to print, mail, or fax anything. Once you’ve carefully read the terms and made sure you understand and agree with the repayment dates, amounts, and interest rate, disbursement will be made directly to your bank account. Many banks have an overnight clearing process, but in most cases the funds are available to you within just one business day. What could be easier? The fastest loans possible are right at your fingertips and you might not even have realized it. 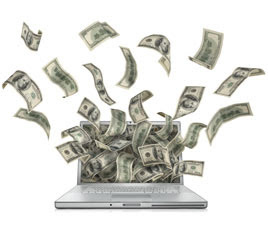 When quick cash could make your life easier and less stressful, why wouldn’t you take advantage of it? Getting money fast means being able to take care of those looming bills, avoiding late fees, staying out of crushing credit card debt, and most importantly, being able to take care of your family when your paycheck runs out early. Here are the two simple steps you can take to get the fastest loans possible. 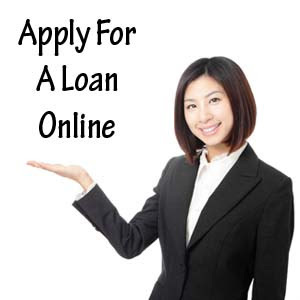 The first and most crucial step in securing the fastest loans possible is just filling out the application. This step is unbelievably easy. You can access the application online using your home computer. You can also use any mobile device because we have a website that is mobile-friendly, as well as an app you can use. No matter where you are, you can access and complete the simple application. You don’t have to send anything with the application either. There are no documents that need faxing and no credit check. 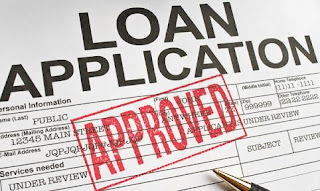 You just need to provide us with the basic information on the application, mostly about your income and paycheck, and that is all a lender needs to get you approved. Unlike other kinds of loans, our lenders don’t need to know much more about you. If you are an adult with a regular job you have a very high chance of being approved, regardless of other factors, like credit score. Step 2 is even easier than step 1 when it comes to getting the fastest loans possible. Your work ends when you submit the online application. From there a lender from our network of professionals does the hard work of getting you approved and making sure you get the cash you need to borrow. All you have to do is wait, and you won’t wait for long. Because we have lenders available around the clock, you can expect to hear from one just minutes after you submit the application. 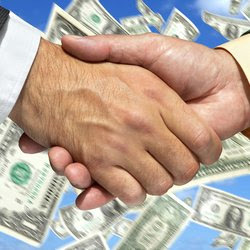 That lender will most likely have you approved in another couple of minutes. From there you will wait for the lender to deposit the cash in your bank account. Most people wait no longer than the end of the day, but if you opt for the fastest loans possible, you could have it within an hour of applying. Two steps are all it takes to get your cash. When the budget gets tight, the first thing most of us do is start “juggling” – pay one bill late so there will be enough cash to pay the others on time. This can go on for some time, but the late fees build up and can begin to affect your credit report. That’s not something you want to make a habit of! Instead of risking your good credit rating and paying late fees month after month, apply for a short-term, low cost payday loan and pay your bills on time! It’s the fastest, simplest way to borrow money and reclaim your financial life. Whether your budget was unbalanced by a health emergency, a household appliance that decided it was time to have an inconvenient breakdown, or an unexpected trip across the country to see your best friend get married ahead of schedule, there’s cash available to make sure that financial difficulties don’t have to upend your life. Summertime is the perfect time for family fun and adventures that will be remembered for years to come. The family bonding created by a road trip to the family reunion or a week at a beach house are worth far more than the dollars needed to make those experiences happen. We all plan to save for special occasions and vacations, but that’s hard to do – even with the best of intentions, there are always other unexpected expenses that those dollars could or should be spent on. Sometimes those are emergencies, and other times just temptations – but either way there’s rarely a healthy fat savings account waiting when it’s time to hit the road with the family! One answer is a low cost payday loan – you can borrow what you need, up to $1000, and repay it out of your next few paychecks. The interest and fees are fair and reasonable, and there are flexible terms if you need them. 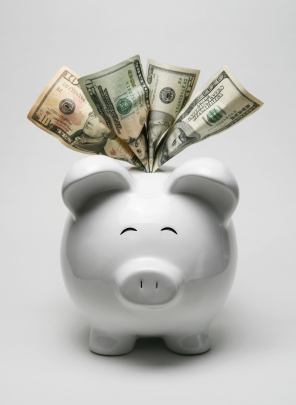 Don’t let an empty savings account keep you stuck at home all summer! 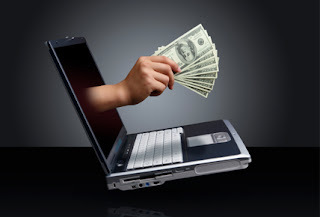 Have you ever bounced a check, or overdrawn your account with an electronic transaction? Do you remember how much it cost you? Due to banks’ policies of clearing the largest charges first, what might have been one bounced charge can easily become many. Average overdraft fees are $30 each, and all it takes is one small miscalculation to begin a spiral of charges that can cost hundreds of dollars. Don’t let yourself get into that situation. If you see that your budget is so tight that overextending your account might be a concern, apply for a low cost payday loan to put an extra hundred in your account, or whatever it will take to give you a safe margin of error. The related fees and interest will be less than you’ll pay the bank for allowing your account to go into the red, and you’ll know ahead of time exactly how much it will cost, which puts you in the driver’s seat!